In honor of my favorite yarny art form. I’ve decided to take on an idea inspired by Robin at CrochetByFaye. She suggested adopting a fellow crochet designer. You can read more about her idea here... try it! I am really bad at following patterns. I mean, I know how to follow patterns. But, I just don’t take the time to sit down and stick to it! So… I’m setting a goal. 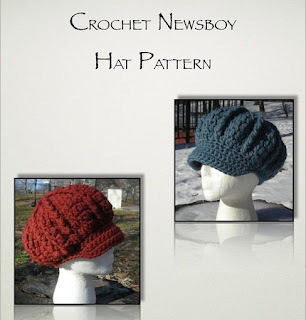 I’ve picked two hats, that I am going to sit down and make by the end of the month. I’ll be posting pics once they are finished. 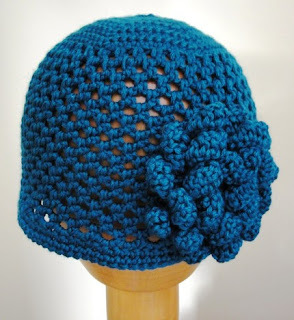 The second is a hat by Jocelyn Sass from CuteCrochet. I really love creating chunky messy flowers so I’m interested to see how she works hers up. You can find other patterns in her etsy shop www.TooCuteCrochet.etsy.com. When I ran across you blog I just had to become a follower. Why? Because my name is Molly also, plus you have a great idea for freeform and I love that. When You have time come by my place to say Hi.